What is Radiofrequency Nerve Ablation (RFA)? Radiofrequency Ablation is a technique that uses heat and radio signals to destroy small nerves that supply the source of your pain. Most commonly RFA is used to destroy the small nerves that supply the pain to facet joints in the lower back or neck (Medial Branch Nerve). The Facet Joint is a common source of back or neck pain, particularly in patients over the age of 50. The joint is formed where two vertebrae meet. Pain from this joint can be elicited by palpating the joint, or by “loading the joint” through extension and rotation of the joint. Finding out if this is the source of your pain should be done first by a thorough examination and physical by an Interventional Pain Physician. Since there are important structures such as nerves, blood vessels, and the spinal cord nearby, this procedure should be performed by a well-trained Interventional Pain Doctor under fluoroscopic guidance (x-ray mapping). What are the indications for RFA (facet joint medial branch rhizotomy) and how is it performed? If you have had good pain relief (50% or more), but the pain relief was temporary (less than three months) from a Diagnostic Facet Injection, then you are a good candidate for doing an RFA procedure. The procedure is done in the same location as your test injections, however, there is a small probe that is inserted into the needle. This probe is used to stimulate the desired facet joint nerve to ensure that we get the desired result. This procedure is often referred to as a facet joint medial branch rhizotomy. How long is the pain relief from RFA? The pain relief from doing an RFA should last 6-24 months. 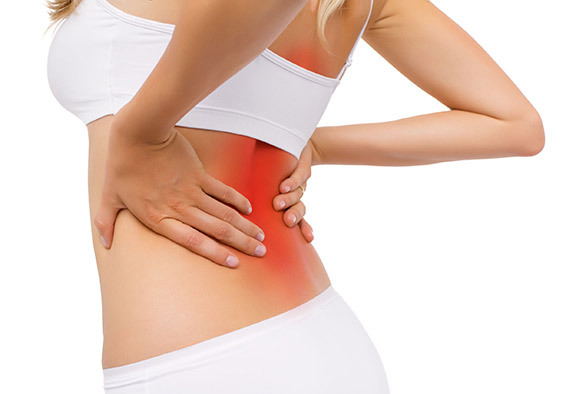 The procedure is done to destroy the small nerves that generate your pain. Unfortunately, these nerves do eventually regenerate. This is when the pain may come back, but this is usually around 6-24 months later. Can I have this procedure repeated? Yes, we have repeated this procedure regularly for patients as long as they continue to get at least 50% pain relief, improvement in function, and results that last for at least 6 months. If you need something to help with anxiety related to the procedure, you should discuss this with Dr. Irwin. Receiving a pre-procedure medication can help reduce your anxiety. If you are taking any blood pressure medication, you should not skip any regular dose of this medication. However, if you are taking any medications that might thin your blood you should discuss this with Dr. Irwin to make sure we have approval from your Cardiologist to hold this medication for the appropriate number of days prior to the injection. On the day of your injection, you should have nothing to eat or drink for two hours prior to the injection. You should bring someone with you who will drive you home from the procedure. You should not return to work the day of your procedure. You can safely resume your normal activity the day after your injection. Are there things I should watch for after having this procedure? Of course, you can call our office for any question you might have. However, there are certain “red flag” warnings that you should call us about, or if it is after clinic hours you should go to your nearest ER. These symptoms include severe or worsening pain, fever over 101, new or worsening weakness, or injection site redness or drainage.